The Thai capital’s nightlife is famous around the world. Whatever you’re heart desires, you can find it in Bangkok. Whether you want to eat fine food, dance the night away, or chill on a rooftop bar, you’ll find what you’re looking for in this article. Below, we’ll tell you where to go in Bangkok at night and explain exactly how to get there. We’ll also share a few exceptional hotel names you should consider staying in for an epic Bangkok adventure. 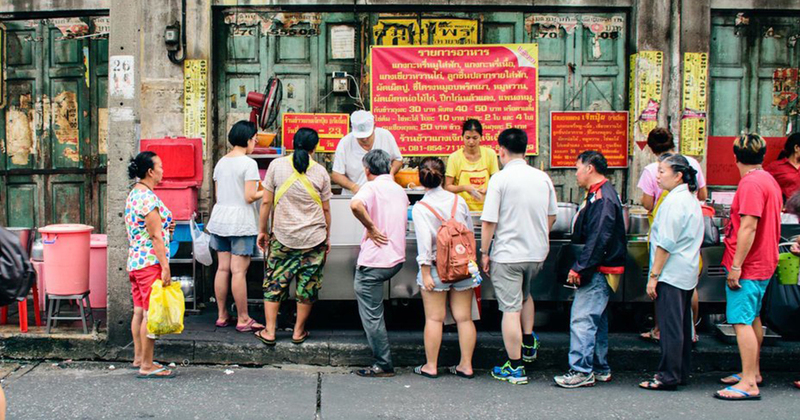 One of the hottest spots in Bangkok for high-quality restaurants, bars, and clubs is Thonglor Road. Officially known as Sukhumvit Soi 55, Thonglor Road is near the Thong Lo station of the BTS Skytrain. Due to the large influx of Japanese expats, Thonglor Road is Bangkok’s official “Japantown.” Anyone into Japanese cuisine will be right at home on Thonglor Road. 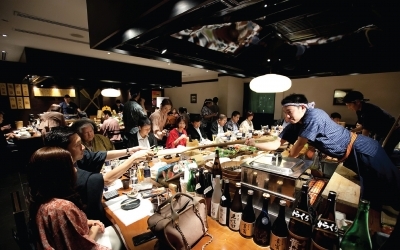 A few of the best Japanese-themed restaurants in the area include Uomasa at Thonglor Soi 13 and Karatama Robatayaki at 46/10 Piman 49, Sukhumvit Soi 49. As for nightlife on Thonglor Road, the options range from understated & relaxed to adrenaline-pumping & action-packed. To help you narrow down your search for the best clubs in Thonglor Road, keep these names in mind: Shades of Retro, Clouds, Myst, Octave Rooftop Lounge. If you need more information on how to get to Thong Lo Station, check out this link. Like Thonglor Road, nearby Ekkamai Road is known for its fashionable bars and clubs. In fact, Ekkamai Road (officially named Sukhumvit Soi 63) is one of the wealthiest regions in all of Bangkok. Since the richest people in Bangkok live here, it should come as no surprise that some of the cities ritziest bars set up shop along Ekkamai Road. 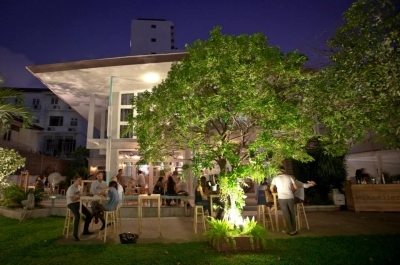 Craft beer enthusiasts must check out the bar Mikkeller on their tour of Ekkamai Road. 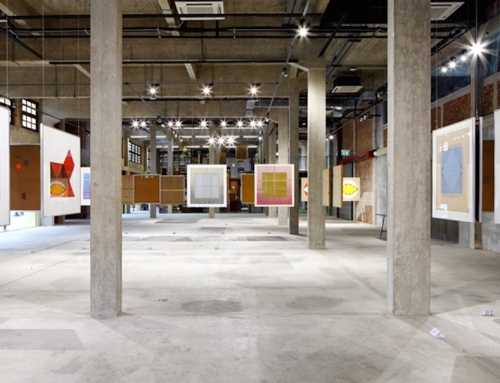 Situated at 26 Ekkamai 10 Yaek 2, Mikkeller has an incredible array of 30 beers on tap for visitors to taste. People into Thailand’s indie music scene can’t afford to miss a stop at Platform 5-6 at 356/5-6 Soi Sukhumvit 63. In this relaxed club you’ll enjoy some of Bangkok’s greatest musical talents all while sipping on the finest imported beers. For the men reading this article, consider a stop at Ekkamai’s club Sherbet at 59 Sukhumvit Soi 63. This club is billed as the ultimate gentleman’s experience with extremely well-choreographed shows, pro DJs, and, of course, plenty of pretty girls. It’s very easy to get to Ekkamai on the BTS Sukhumvit Line. Just get off at the Ekkamai station. It’s that simple! Just so you know, this area is jam-packed most Fridays through Sundays, so be prepared to contend with crowds. 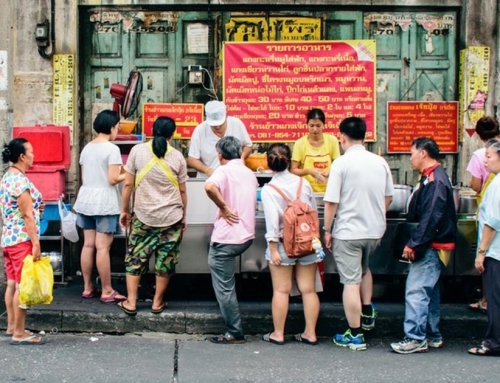 If you’re a backpacker on a budget, you’re most likely going to stay on Khao San Road. This road, which measures only one kilometre, has the highest concentration of budget-friendly hotels and has been welcoming bohemian tourists for decades. On this street, you’ll find everything you need to have a comfortable time in Bangkok including massage parlours, travel agencies, and great restaurants/bars. 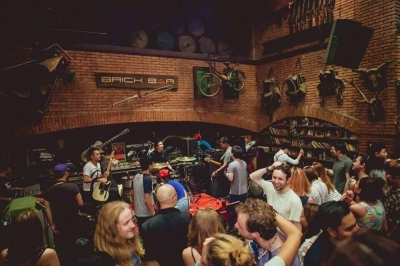 Some of the top bars on Khao San Road to keep in mind include The Brick Bar, Molly 31st, and Adhere the 13th. As for the hotels in the region, some of the best reviewed include Baan Kachitpan, Phranakorn-Nornlen Hotel, and Old Capital Bike Inn. Khao San Road is very close to the Bangkok City Library at 39 Ratchadamnoen Klang Road. It’s best to take a taxi to this area because it’s not that close to public transport like the BTS or the MRT. 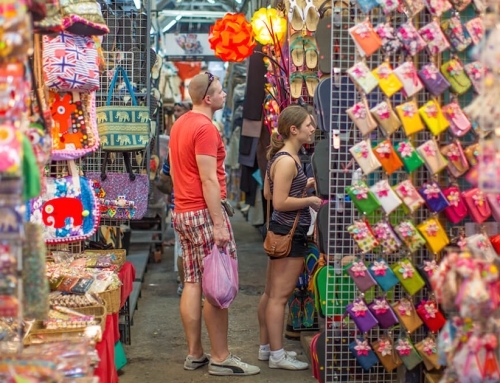 Located alongside the famous Chao Phraya River, Asiatique The Riverfront is a night market like no other. The area now known as the Asiatique was actually a major international trading hub for decades. 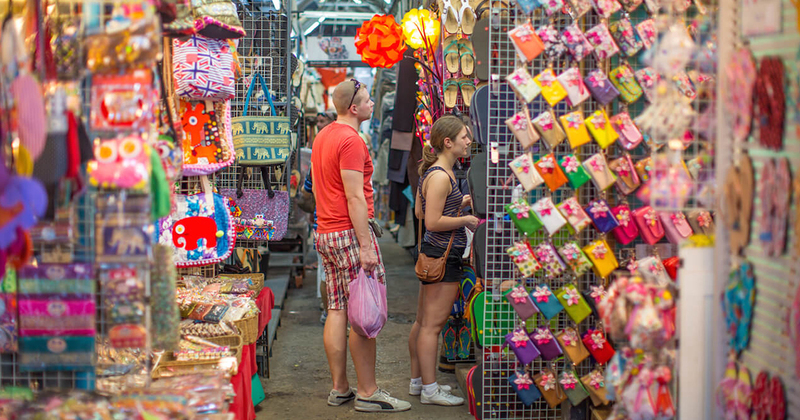 Although there are many fascinating historic sites here like a World War II Bunker and an Old Sawmill, this bustling area of Bangkok is better known today for its photogenic pier and dozens of world-class shopping, dining, and entertainment venues. The obvious must-do attraction here is the iconic 60-meter high Asiatique Sky Ferris wheel. After you’ve taken in the impressive views of Bangkok from a ride on Asiatique Sky, it’s time to check out Asiatique’s four main shopping areas: the Waterfront, Town Square, Factory, and Charoenkrung districts. To close off your day at Asiatique with a bang, consider eating at one of the area’s exquisite restaurants or taking in a live show. Asiatique The Riverfront is located at Chareonkrung Soi 74-76 near Wat Ratcha Singkhorn. 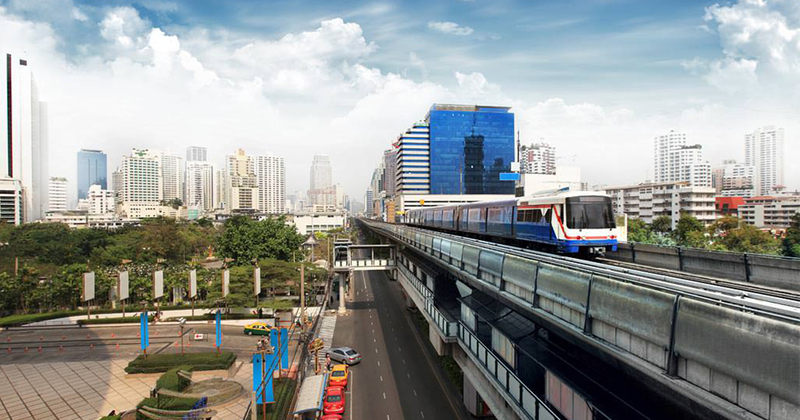 The best way to get into Asiatique is to ride the BTS Skytrain to the Saphan Taksin station. Once at Saphan Taksin, you could choose to take a taxi or a boat into the center of Asiatique. Most travel experts recommend taking the boat ride because traffic is very congested in the region. 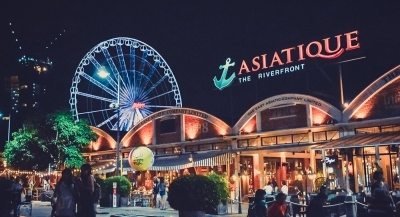 Asiatique usually opens at 5 PM and stays open until 12 AM. The last boat departs at 11:30 PM. 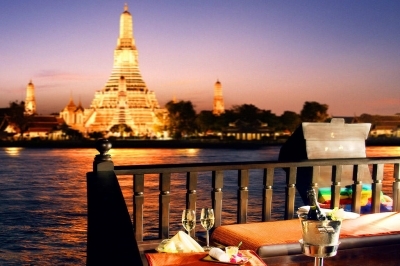 There are many different river cruises offered on the Chao Phraya River, but one of the best-reviewed is the Apsara Dinner Cruise offered by the luxury hotel Banyan Tree. These cruises take place on former rice barges that can hold at least 60 guests at a time. As you take in the illuminated sites of Bangkok on your river cruise, you’ll also get the chance to feast on Thai cuisine fit for a king. This is an ideal nighttime attraction for romantic couples. Anyone interested in booking a cruise with Banyan Tree can visit the hotel at 21/100 Sathon Tai Road. To get here simply take the BTS to the Surasak station, which is only a five-minute walk away from Banyan Tree. All Aspara Cruises begin at 8 PM and free shuttle transport is provided for passengers from the hotel to the pier at 7 PM. 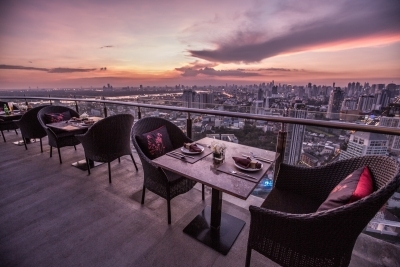 Any list of the best in Bangkok nightlife has to include a stop at Cielo Sky Bar and Restaurant. Situated at 69-69/1 Sukhumvit Road, Cielo Sky Bar offers guests an incredible 360-degree view of Bangkok from the 46th floor of the Sky Walk Condominium. In addition to the stunning view, Cielo has a great menu filled with succulent seafood dishes inspired by traditional Thai cuisine. A few award-winning plates you can munch on at Cielo include grilled pork with grilled shrimp and duck curry. 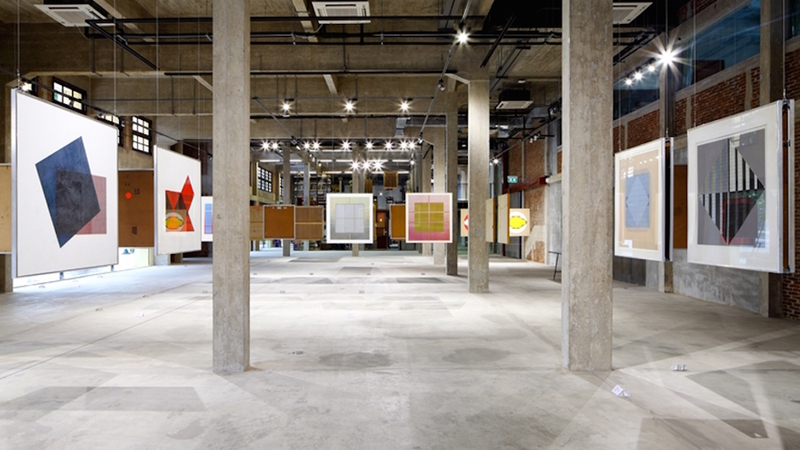 Cielo is located between Soi Sukhumvit 69 and 71, which is a short walk from the BTS Phra Khanong station. Due to this restaurant’s immense popularity, it’s highly recommended you book a reservation at Cielo a few months in advance. You can find out more information about reservation booking at Cielo’s official webpage. Cielo is open from 5PM to 1AM every day of the week. Now that you know where to go in Bangkok on your nightlife adventures, how do you actually get around the city? That’s easy: download the UBER app. That’s right, the San Francisco-based ride-sharing company is just as popular in Bangkok as it is in the Western world. Whenever you need to grab a taxi in Bangkok (especially if you’ve had a bit too much to drink), just open your UBER app. Since Bangkok is such a major tourist destination, there are way too many hotels to list in this tiny article. If nightlife is your priority, however, there are a few names that stand out. In addition to the Westin Grande Hotel listed above, one of the best hotels in Bangkok for high-rollers is the Hilton’s DoubleTree Bangkok Hotel on Sukhumvit Road. 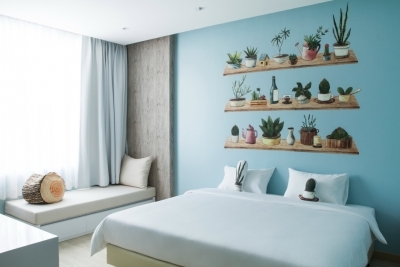 For a budget play, consider Beat Hotel Bangkok at Sukhumvit 71 road.